 You can sponsor one (or more) of these events on any of the Shabbatot during camp in honor of your camper (past and/or present) or family, or in memory of someone who was a member of our extended Camp Moshava family. Your sponsorship will be announced the day of and during the event as well as within our weekly newsletter and on our website. As the campers arrive at the Machaneh this week and see their friends and prepare for their first Shabbat, we hope you will take this opportunity to connect with them in this very special way. You can call the office at 847-674-9733 x12 or email us at Moshava@moshavawildrose.org to reserve your date. Wishing all of you a happy and safe summer! The chanichim were taken aback after their first maariv in machaneh when they heard a heavenly voice call out, “Avraham, Avraham!” They turned to see Avraham Avinu standing against the back wall of the Beit Knesset. G-d commanded Avraham to journey from Chevron to Har Hamoriyah via the Gush Etzion region. Thereafter, Avraham, Eliezer, Yitzchak, and all of the chanichim set off on their journey. Along the way, the Satan attempted to block their path, but the chanichim overcame all obstacles. The chanichim watched as Avraham approached the altar, bound his son Yitzchak, and prepared to sacrifice him. The angel swooped in Yitzchak was spared, a ram sacrificed in his place. The first night tochnit of the summer closed with a shelet aish as the Rosh Moshava, Yitzi Matanky, explained the nosei: the Gush Etzion region through Jewish History. All Chanichim Have Arrived Safely! To view the bunk list for Moshevet Gush Etzion click on “Parent Login” on the menu bar. Once you are logged into our CampInTouch Portal, click on “News”. The enthusiasm was contagious as over 50 members of tzevet, 40 avodah chanichim, and 22 MITS from all across the world, stepped off the buses yesterday to begin their summer here at Machaneh. Eager to mingle with both old and new friends, tzevet and the chanichim have been busy meeting new faces, attending seminars and shiurim, and preparing for the downstairs chanichim to arrive on Wednesday. As everyone begins to get ready for Shabbat, Machaneh is filled with the familiar smell of shabbos cookies, sounds of pre-shabbos music, and all-around anticipation. It is clear that everyone is looking forward to what is sure to be an amazing summer!